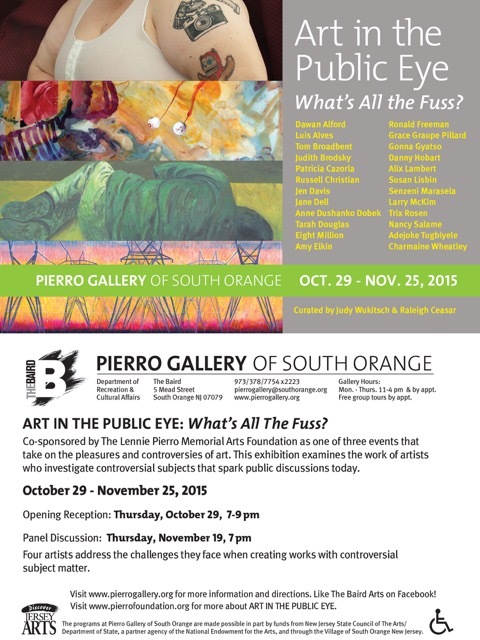 Two NY area exhibitions feature works by Trix Rosen. K. Hovnanian Hilltop Project. Essex County State Penitentiary, Main Prison Building dates from 1872 – masonry structure. Includes Women’s Wing, Hospital Wing, New Wing, Warden’s House, Power House. HABS Large-Format (4×5) Level 3 Photography Documentation before demolition. 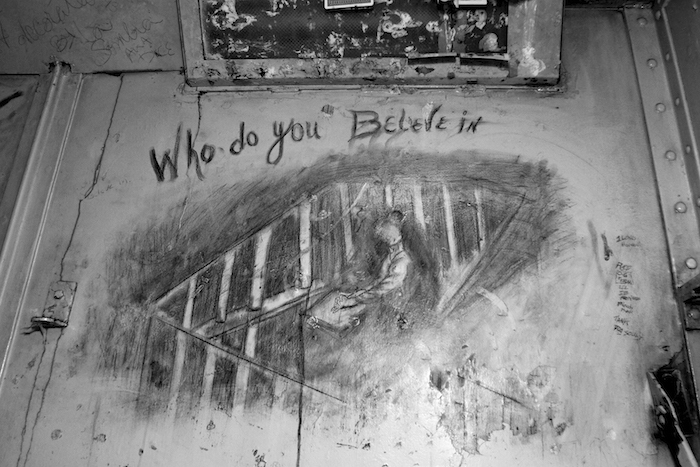 Rosen photographed the graffiti drawing Who do You Believe In on a cell wall of the Women’s Wing at the abandoned Essex County State Penitentiary, in North Caldwell, NJ. Both the text and the inmate’s haunting, hand-drawn portrait poignantly illustrate one of the fundamental questions we ask about life. “From the earliest days of my career in art and photography I have photographed strong and defiant people who bravely break taboos and re-define their cultural and sexual representation. Many of my images embrace the fluidity of gender identity and explore the possibility that we each hold a myriad of alternative selves within us.